Hey! I have a super simple project to share with you today. As part of my porch makeover for Fall I repurposed…..
this art deco chandelier. I purchased it at the Nashville Flea Market for $10. I thought it was a bargain! All I did to incorporate the chandelier into my Fall décor was add some artificial greenery I had on hand and place LED tea lights in all the bulb sockets. Nothing to it. 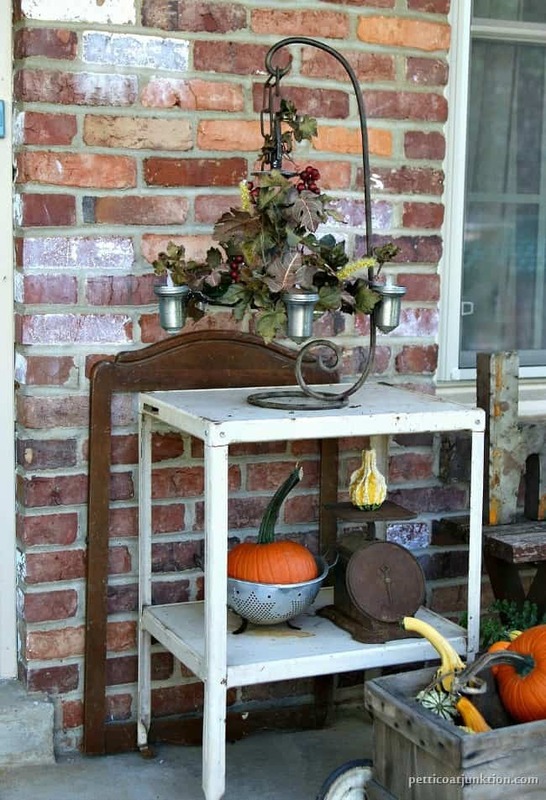 The heavy iron stand is a find from months and months ago. I finally found a use for it. 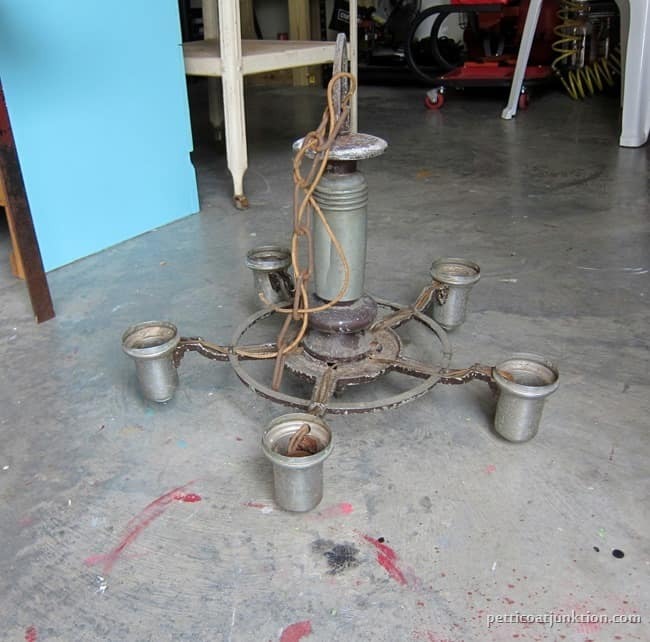 Every time I brought home a treasure I thought would work with the stand….it didn’t. I tried to get a photo at night with the tea lights on but no go. The display is on our front porch. This is the door the goblins knock on for their Halloween treats. The tea lights will be blazing on October 31. 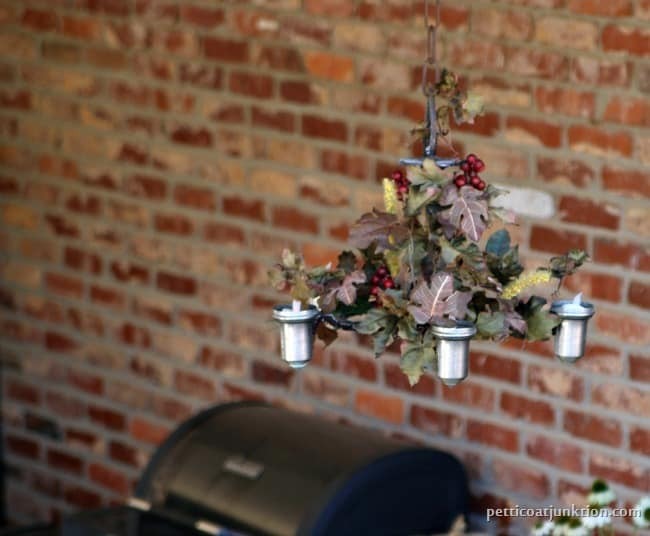 For a few daysI had the chandelier hanging beside our back door under our carport. This piece will be easy to change with the seasons. I think I’m going to keep it around. 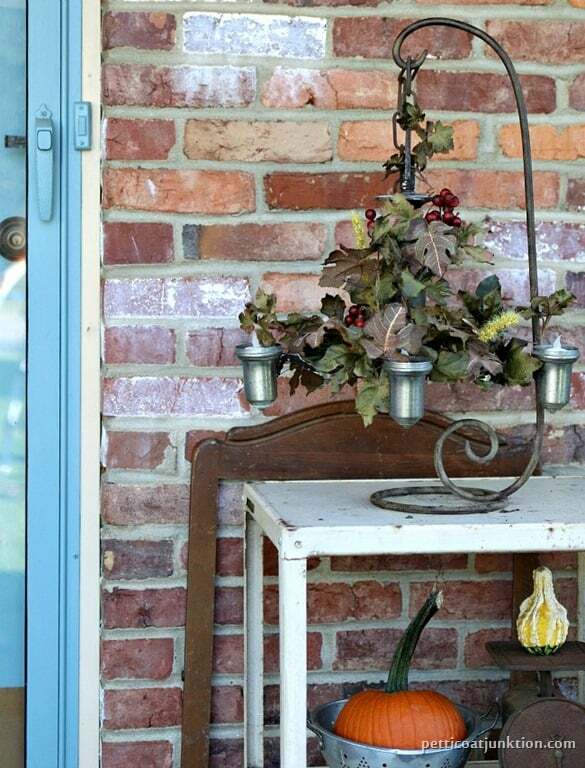 A little more of my front porch Fall décor. 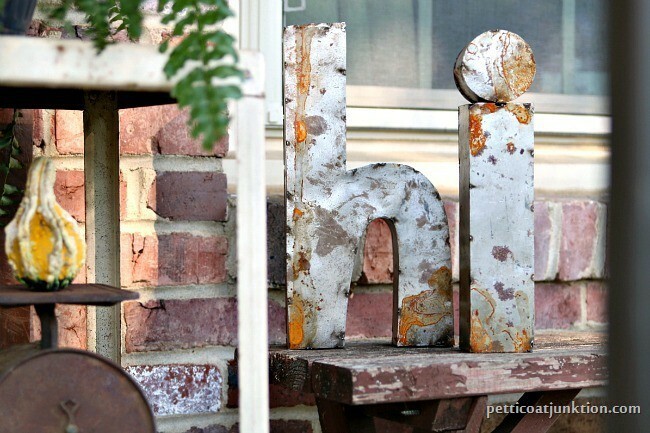 The “hi” metal letters are purchases from the Nashville Flea Market too. The rusty iron wagon is making it’s first showing at the Owen home. I found it at a thrift store for $10. In a couple of months or less it may be filled with ivory poinsettias. Find my favorite DIY Products here. 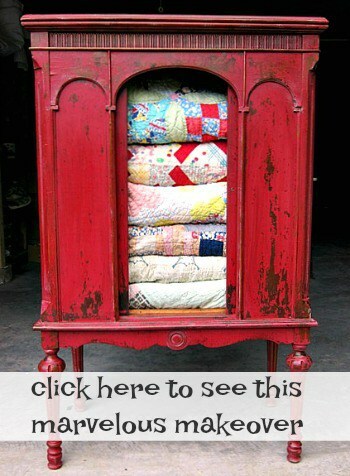 Click here to receive Petticoat Junktion by email for free! Ohhhh there’s so much to love here! You always reach my junkin’ heart so! 🙂 The chandy is so cool, but I’ll also happily take that wagon with plant and pumpkin and the hi letters off your hands anytime! 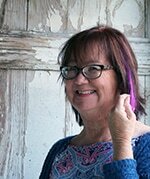 Pretty entry, Kathy! 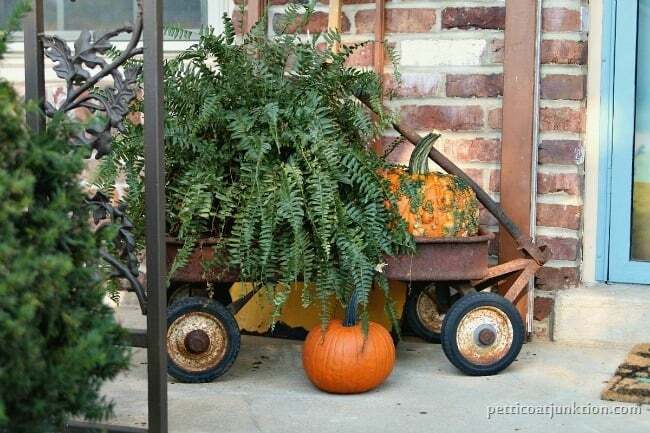 What a great repurposed project! Nice job! I wanted to comment on the art deco chandelier. I did much the same thing but I used solar pathway lights and hung it on my deck. Beautiful at night. I am now considering painting it with glow in the dark paint.